A local man who was serving a life sentence in a state prison for the murder of his 2-year-old son died on Sunday. David J. Pope Sr. 67, was pronounced dead at Westchester County Medical Center at on Oct. 7. 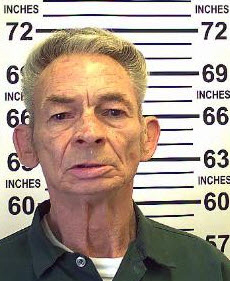 A spokesperson with the New York State Department of Corrections said Pope was transported to the hospital at 9:30 a.m. on Sunday for observation and pronounced dead at 5:51 p.m.
Pope had been in prison since 1995 for the 1972 beating of his son, Howard White, in the family’s Granville home. The boy’s death was initially attributed to natural causes, but the investigation was re-opened in 1993 after New York State Police developed information he had been killed. The boy’s body was exhumed and an autopsy found the toddler was murdered. Pope was tried and convicted of second-degree murder in 1995. He was sentenced to 25 years to life in prison and had been an inmate at Sing Sing Correctional Facility since 1995. He was eligible for parole in 2019.